Item description: General Order No. 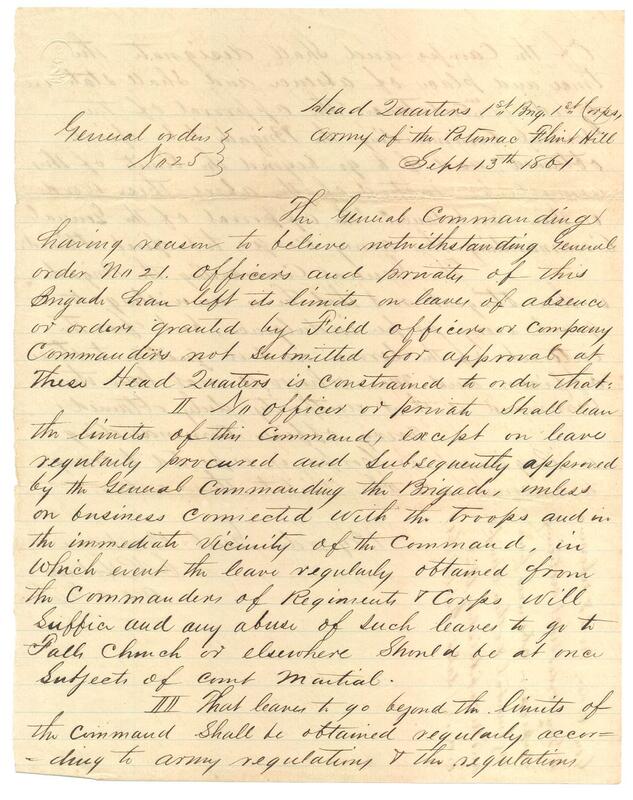 25, dated 13 September 1861, regarding improper leaves of absence from the area of military command. Item citation: From folder 18 of the Boykin Family Papers (#78), Southern Historical Collection, The Wilson Library, University of North Carolina at Chapel Hill. I No officer or private shall leave the limits of the command, except on leave regularly procured and subsequently approved by the General commanding the Brigade, unless on business connected with the troops and in the immediate vicinity of the command, in which event the leave regularly obtained from the commanders of Regiments & Corps will suffice and any abuse of such leaves to go to Falls Church or elsewhere should be at once subjects of court martial. The General commanding the Brigade is thus stringent not that he is unwilling to grant every proper indulgence, but for the interest of the service and in justice to those officers and men who will not leave the command without authority duly obtained. Every officer commanding a Regiment of Corps is expected to bring to account all who violate their orders. 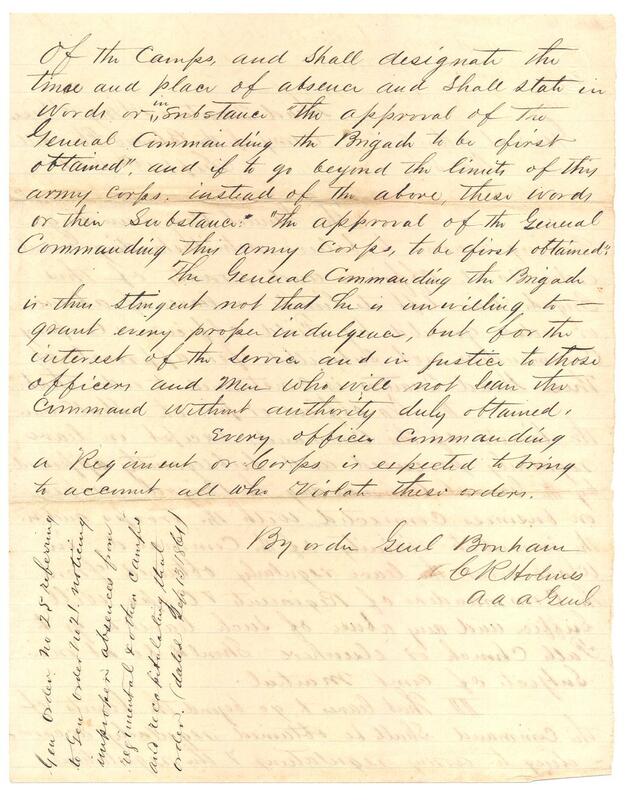 This entry was posted in Southern Historical Collection and tagged Boykin family, general orders, leaves of absence. Bookmark the permalink.